The Gravois Bluffs Mound group (23SL1064), also called the Fenton Mound group, consisted of a large conical mound and associated small mound situated on a bluff above the Meramec River. The mounds were investigated as a rescue project in 1999 by Dr. Joseph M. Galloy (former Senior Archaeologist, SCI Engineering, Inc. - now American Bottom coordinator for Illinois State Archaeological Survey). Both mounds at Gravois Bluffs were destroyed in order to build a shopping center in Fenton, MO. 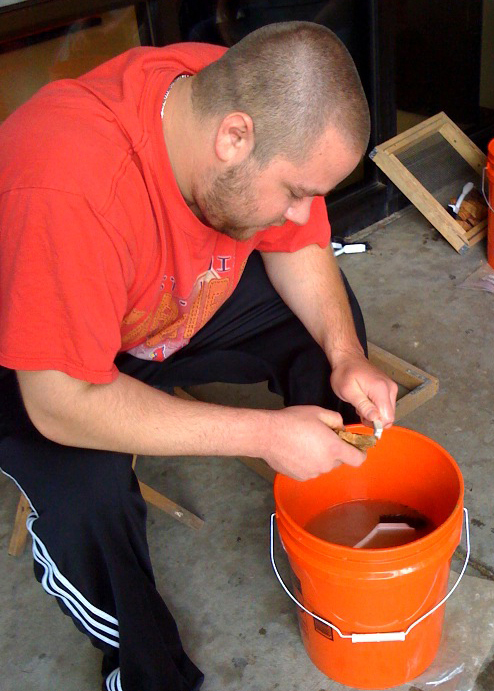 Professor Daniel J. Westcott (2008), University of Missouri - Colubmia, analyzed the human remains recovered from the mound. 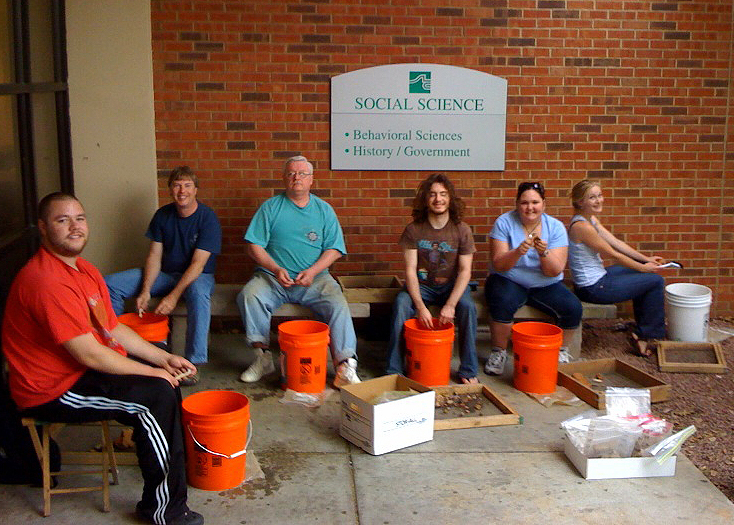 Several dozen St. Louis Community College students and faculty (Michael Fuller, Neathery Fuller, and Monte Abbot) voluntarily undertook the washing and identification of the material culture remains from both mounds as a Service-Learning Project. 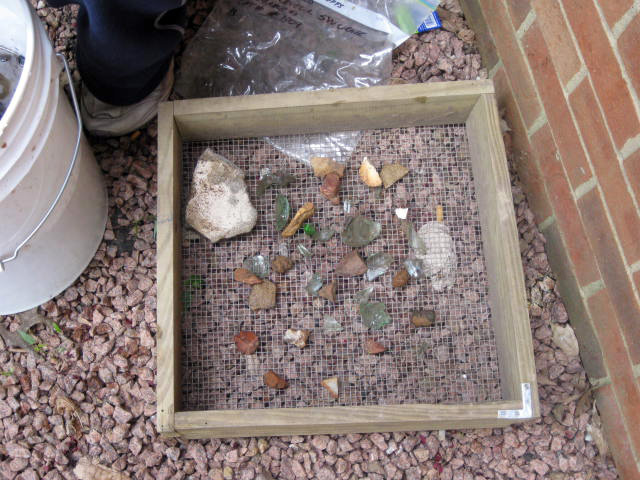 Mark Leach (MAS amateur archaeologist) has been of great help in the sorting and counting of the debris. Students at St. Louis Community College at Meramec washing debris from the 1999 excavation at Gravois Bluffs. Each bag was individually washed and the soil sediment in the bottom of the bucket was water screened through coarse and fine mesh sieves to recover small flakes and any carbonized matter. 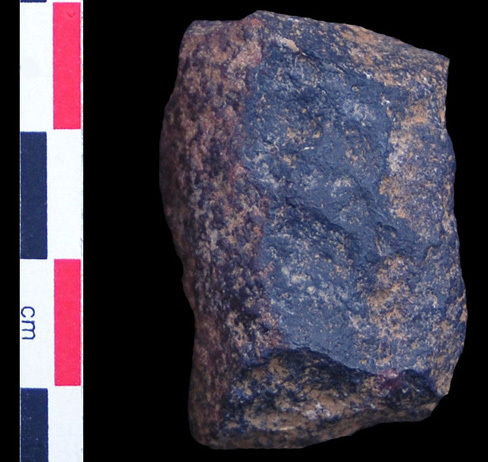 A sample of carbonized hardwood from a burnt charnel house was radiocarbon dated by Beta Analytic (Beta-281645). The calibrated C-14 date at one sigma (68% probability) is AD 1010 to 1040. The two sigma date (99% probability) is AD 980 to 1160. The date was purchased by Michael Fuller without any funds contributed by STLCC, DNR, Walmart, etc. 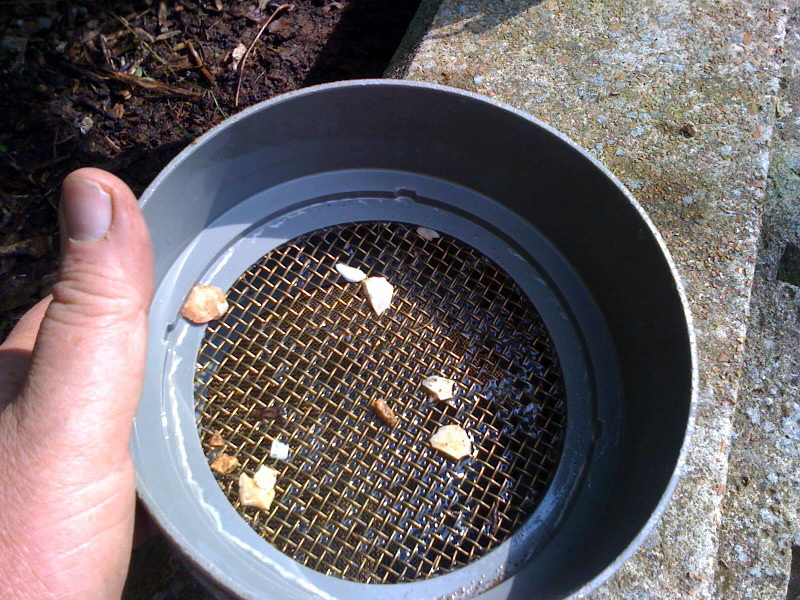 All soil samples were "floated" by Larry Kinsella at the Powell Archaeological Research Center (PARC) in Collinsville, Illinois. Monte Abbot (adjunct faculty at STLCC) voluntarily examined the float samples. The most signficant discovery was the presence of carbonized seeds of Nicotiana rustica (Ceremonial Tobacco) in at least one sample. 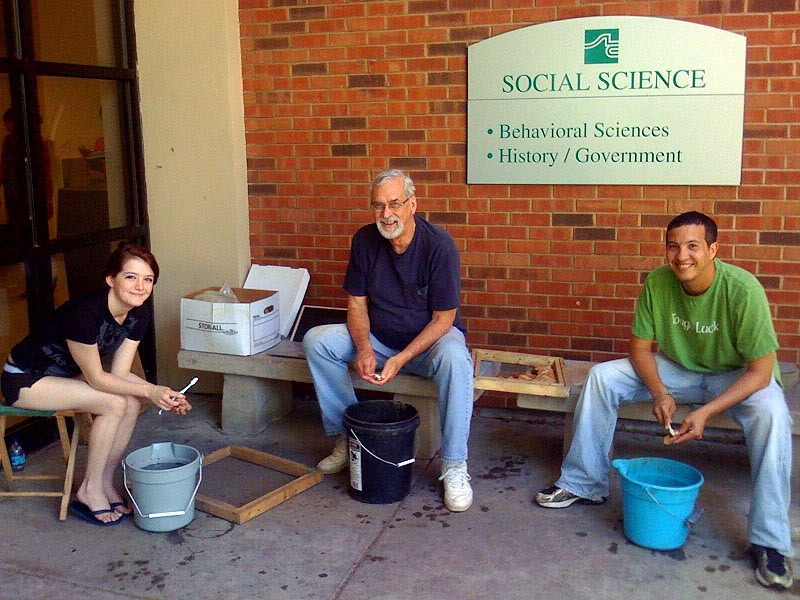 Afternoon washing team at St. Louis Community College - Meramec. 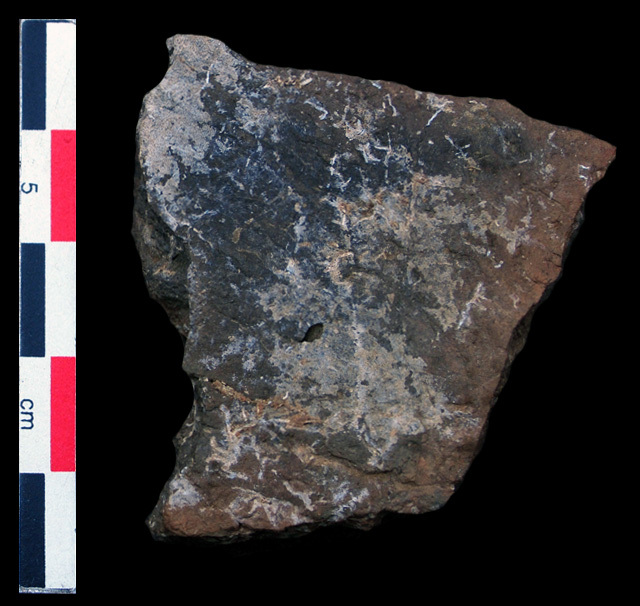 Most artifact bags from the Gravois Bluff Mounds in St. Louis contained a significant number of unmodified pieces of chert residuum and fire cracked rock. Each specimen was carefully washed and examined. Each bag of debris was washed and dried seperately. Several bags from near surface loci contained bottle glass, bullets, and nails - evidence of disturbance by looters during the 20th century. Houck (1908:77) reported that 19th century digging in a mound near Fenton, MO uncovered stone box burials. 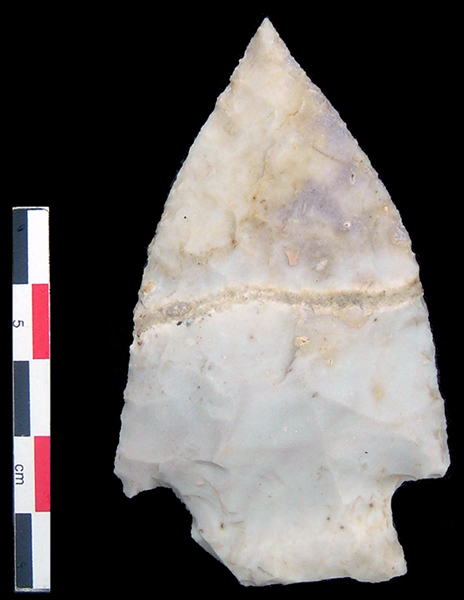 It is possible that Houck's reference helped pinpoint the Large Mound for illicit digging during the 20th century. The smallest waste flakes and pieces of charcoal were recovered by water sieving after the larger pieces of debris were hand washed. 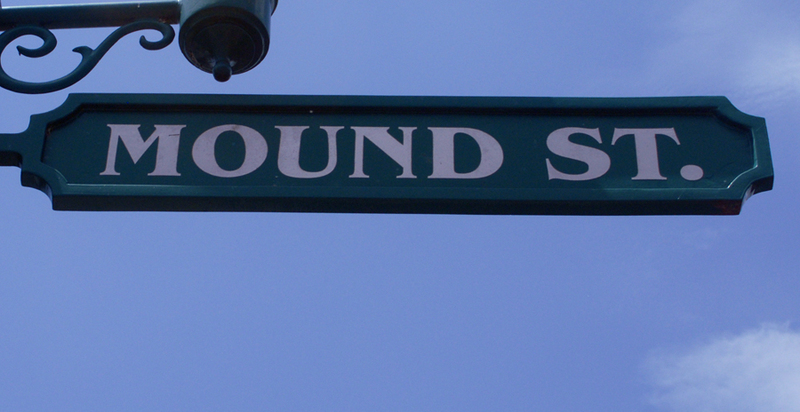 One of the streets in downtown Fenton is named in honor of mounds that there destroyed in the town during the 19th century. Very little is know of those mounds except that there may have been associated stone box graves like the ones destroyed the build the Walmart on the ridge above the town. 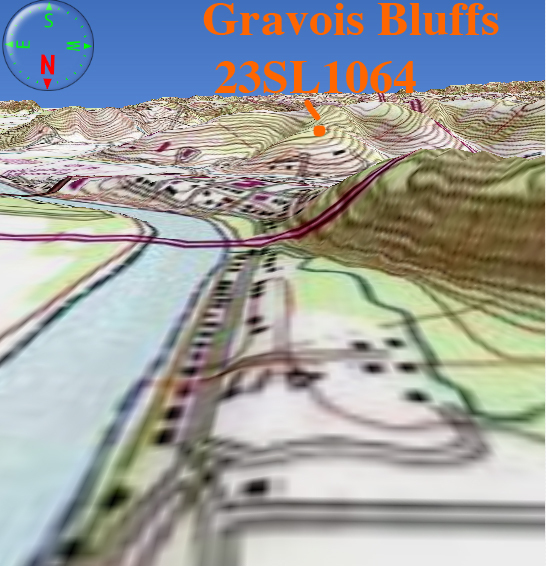 3D topographic map (with vertical exaggerated) showing the location of the Gravois Bluffs mounds in relationship to the Fenton Creek (that flowed at the base of the bluff) and the Meramec River (situated several hundred meters further to the east). 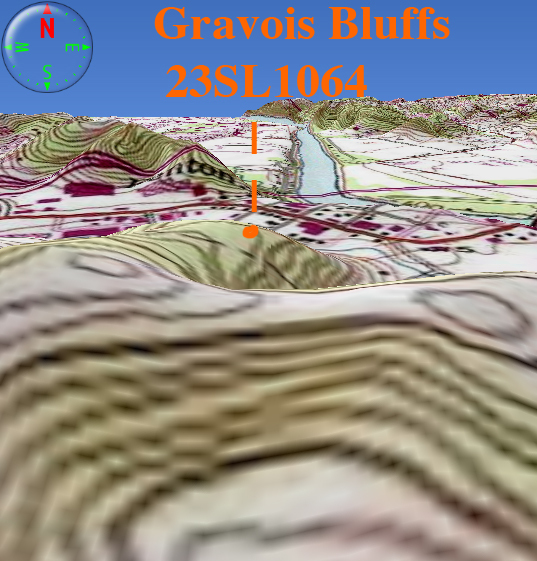 3D topographic map (with vertical exaggerated) showing the location of the Gravois Bluffs mounds in relationship to the terraces Meramec River. The village or town that built the mounds would have been located on the river terrace where the modern town of Fenton is located. SCI team of archaeologists working at the small mound. 1908 A History of Missouri, Vol. 1 R. R. Donnelley & Sons Co., Chicago.